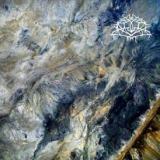 Following on from the surprise release of their intriguingly tech death-flavoured fifth album last year, Krallice released Hyperion on the 1st January 2016, an EP of material recorded before Ygg Huur. And you can tell; it's closer in style to the blizzard effect of the years prior, another set of Krallice “songs” more like intellectual workouts than the typical metal pieces that we're used to. Still, it's as impressive as ever technically, even if I find myself preferring the shorter, more cross-genre approach that Ygg Huur took. The pieces here are definitely more approachable and accessible than the alien noises of the likes of Years Past Matter, to the point where the proggy meander of Assuming Memory is downright relaxing. It wanders at varying tempos through abstract sounding soundscapes, trippy and weird, yet far more listener-friendly than past albums have been. Elsewhere, the EP retains this level of interest. Opener Hyperion is fast and nerve-racking, repeated short riffs nearly setting your teeth on edge before the whirring blackened riffs open into something more atmospheric, turning aggressive with the howled vocals. The following Guilt of Time is probably the best track present, however, building then turning slower and almost invocatory with drum rolls and moments of near-silence, soon resuming the rage. At just over six minutes long, it's the shortest track here, and given the entire EP is barely over twenty minutes in length, Hyperion is a great bitesize shot of Krallice if you need a fix.